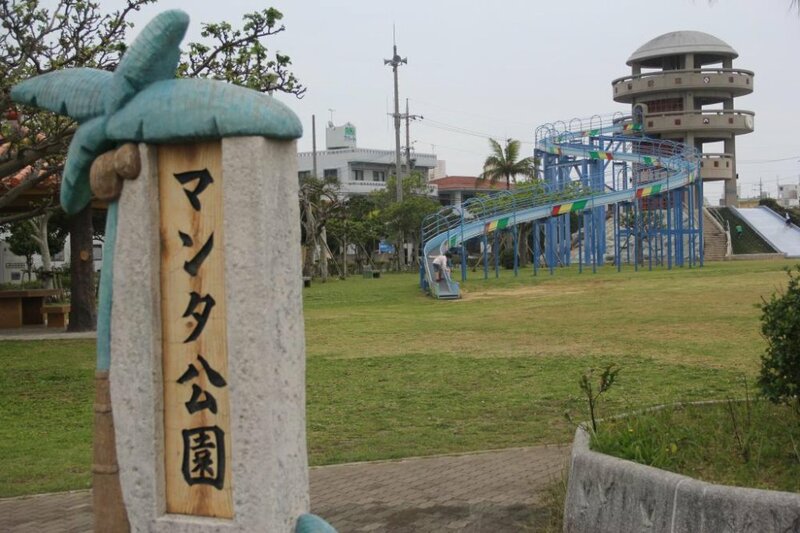 A mere playground can be an amazing find for those unaccustomed to seeing the giant roller slides that are in many of Okinawa's municipal parks. 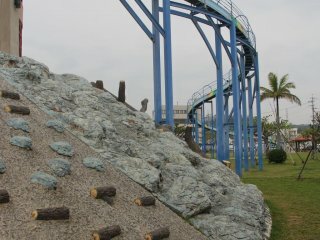 Situated in Manta Park a couple of stone throws away from Route 85 and the Pacific Ocean coastline of the Awase District in Okinawa.City, this slide is a head turner. 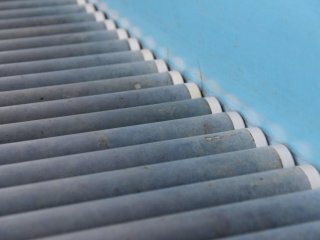 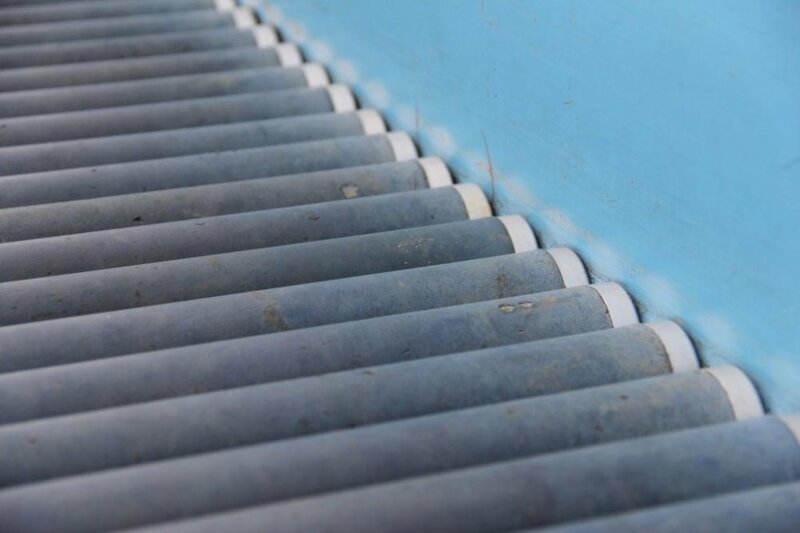 The slide consists of hundreds and hundreds of rubber covered rollers along a half meter wide track that plunges from the third story of an elevated observation tower for a 75 meter long ride. 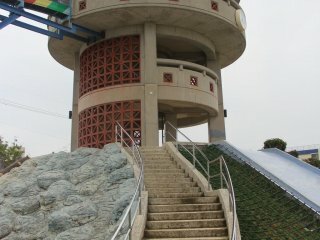 Scale the observation tower, assume the position, and slingshot your way on a bumpy but swift journey. 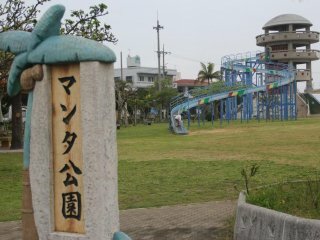 The park is open to the public and also features a basketball court, grassy fields, a playground, restrooms, and covered picnic tables. There are about 10 parallel parking spots along the roadway on the south side of the park. 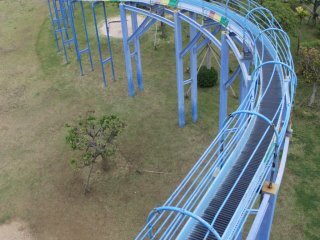 I still have not found a roller slide that is both as high and as long as Manta Park's slide, but I am still looking.